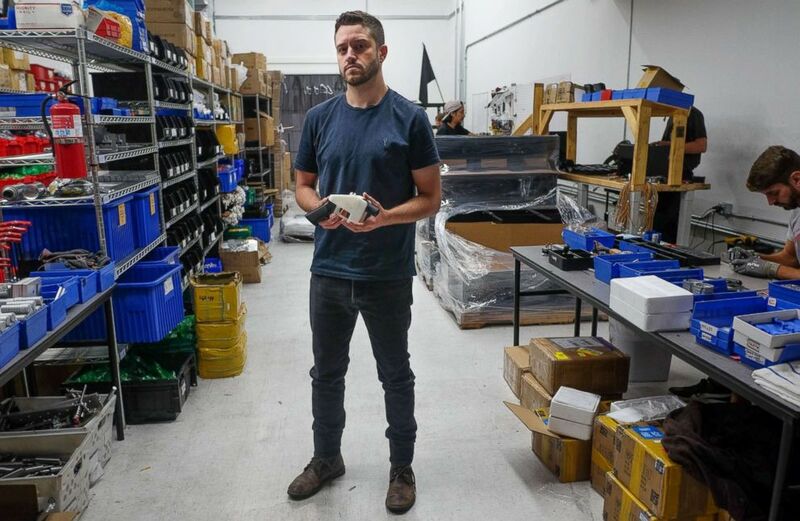 Cody Wilson fired the shot heard around the internet in 2013 with what is widely believed to be the first 3D-printed gun. Now the self-described "crypto-anarchist" is at the center of a fierce legal battle over whether Americans should be able to print guns that would be unregulated and untraceable. Years of litigation followed, leading to a settlement a week ago allowing Wilson to re-release the gun’s downloadable blueprints, giving anyone with access to a 3D printer the ability to create their own so-called “ghost guns” – unregulated unregistered and untraceable firearms. Eight states and the District of Columbia sued Monday to block release of the blueprints, and a federal judge in Seattle on Wednesday issued a temporary restraining order against Wilson and his nonprofit firm, Defense Distributed. 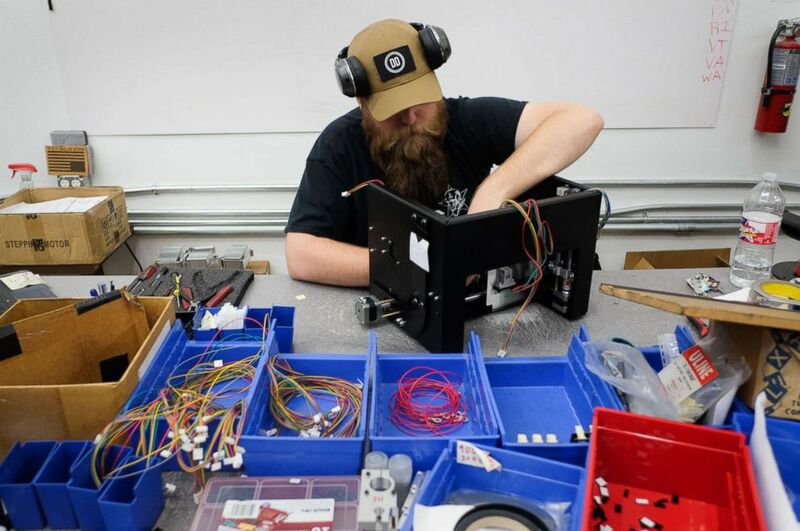 J.C. Cotter installs an electronic package for a Ghost Gunner milling machine at the Defense Distributed factory in Austin, Texas, Aug. 1, 2018. But download counters on Wilson’s website suggest the blueprints were already downloaded over 20,000 times after Friday’s ruling. Opponents of his effort stressed the dangers. Guns from 3D printers would be “available to any felon, domestic abuser or terrorist," said Washington State Attorney General Bob Ferguson, a leader of the joint lawsuit by states against Wilson. Senate Minority Leader Chuck Schumer, D-N.Y., also emphasized the risks from easily available, homemade guns and said Congress should act. A 3D printed gun, called the "Liberator," is seen in a factory in Austin, Texas, Aug. 1, 2018. Wilson began experimenting with 3D-printed guns while he was at University of Texas law school, after graduating in 2010 from University of Central Arkansas with a degree in English. 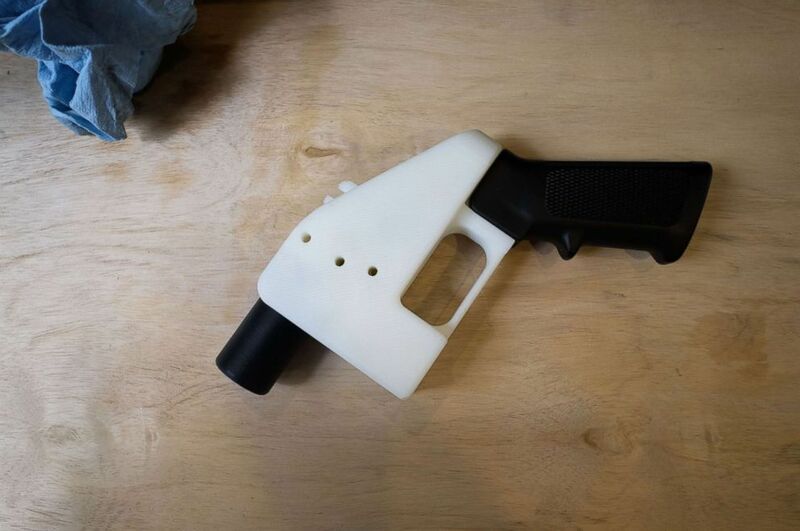 He printed his first gun during exam week of his second year of law school, then dropped out to further pursue the project. Wired named Wilson one of that "15 most dangerous people in the world” in 2012 and one of that "15 most dangerous people on the internet” in 2015. “The possibilities being introduced are huge,” Wired wrote in 2012. In 2012, when Wilson was just 24, he created Defense Distributed, a nonprofit defense technologies organization, and introduced his initiative to design and release files for 3D-printable guns. Wilson’s ambitions are about more than building guns. The plan was immediately controversial. Crowdfunding site Indiegogo kicked him off its platform. Statasys Inc. revoked his lease for one of their 3D-printing machines. Days after Wilson first posted the 3D-printed gun blueprints online, the State Department demanded Wilson remove them. Wilson filed suit, claiming a violation of his freedom of speech. He has said that opposition to his 3D guns shows shows how the government excessively exerts its power, limiting societal change and technological development. While his 3D-printed guns project was stalled in courts, he turned to other areas of interest. Wilson co-founded Dark Wallet, a “bitcoin wallet designed to make bitcoin use completely private,” allowing for increased confidentiality in financial transactions. “Bitcoin is a serious challenge to the sovereignty of the state and the state’s money power at a certain point,” Wilson said. That same year, Defense Distributed announced the Ghost Gunner, a milling machine that allows anyone to construct AR-15 and AR-308 metal guns. With accumulating legal fees, Wilson remains focused on the Ghost Gunner manufacturing company, now a lucrative business with 18 employees. In 2017, Wilson created Hatreon, an online crowdfunding site supporting popular alt-right voices – including white supremacists Richard Spencer and Andrew Anglin -- who had been banned from the popular crowdfunding platform Patreon. Some of the money that helped fund the violent Unite the Right rally in Charlottesville was raised through Hatreon. The temporary restraining order slapped down this week will remain in effect at least until a hearing is held on Aug. 10, but in some ways, Wilson said, he has already accomplished what he set out to do. Wilson’s endeavors have landed him on the radar of several gun reform organizations. “We have been following his activities for several years,” said J. Adam Skaggs, chief counsel to the Giffords Law Center to Prevent Gun Violence. The Giffords Center is part of a coalition that fought unsuccessfully to prevent the court settlement on July 27. Giffords has identified other ghost gun sellers it’s concerned about, according to Skaggs. But he said Wilson stands out from the rest. Wilson said he won’t be censored and he’ll continue to engage with people whom some might consider extreme. “You’ll find good ideas in with the crazy people,” Wilson said.